Everything But The Kitchen Sink: Let's get inked up! I'm such a fan of tattoos and love how delicate and meaningful they can be to the person. Once I'm old enough to get some, I know exactly what I want! 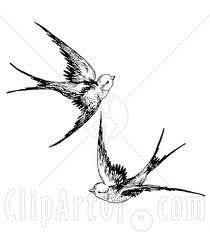 I definitely want a swallow on either my wrist or foot because to me it represents freedom and trust which are important to me. Also I'd like Lose Yourself (from the Eminem song) and Feet Don't Fail Me Now written in swirly script somewhere! I'd want those phrases because the song Lose Yourself is so awesome and really does talk a lot of truth and I like the saying Feet Don't Fail Me Now because it symbolises strength and would encourage me to keep going through life. You guys go any favourite tattoos or tattoo desires?